Dancing is no small feat. It takes so much skill, passion, and technique. It can be incredibly draining and you will probably want to give it up at some point. But remember how much you love dancing. It is who you are. Remember that. 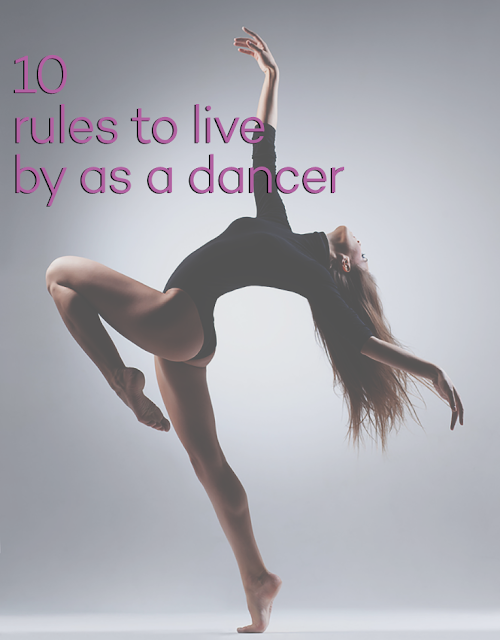 To help you remember to not give up, here are 10 rules to live by as a dancer. Sometimes you just need to get mad and push yourself further. The answer is all in the music. Just listen to it. Dance is a sport and you are an athlete. But you are also an artist. Of course it's hard. If it were easy, everyone would do it. Hard is what makes it amazing. It's okay to stumble and fall, but then you have to get up and keep going. And one more bonus one for you. Remember, somewhere behind the athlete you have become and the hours of rehearsals and the instructors that pushed you, is the little girl who fell in love with the sport and never looked back. Do it for her.